Discover the shampoo machine rental offers offered by GetFurnished.com, and benefit from deals beyond compare. You need a shampoo machine for your maintenance work, but you do not want to invest in a product that will only be used occasionally? No more worries for you. With your GetFurnished.com online store, you have the opportunity to make substantial savings. We offer you to rent a shampoo machine for the duration of your choice, our rental periods being between 1 and 36 months. 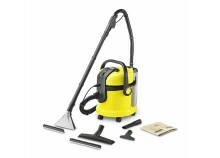 A shampoo machine is an essential tool when you want to carry out cleaning work, such as cleaning carpets or rugs. Indeed, maintaining your supplies and furniture is a necessary task if you want to live in a healthy environment. 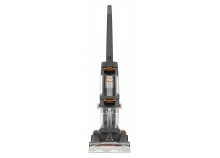 This unit is useful if you cannot clean a carpet or rug with a simple vacuum cleaner because it requires water to operate and it cleans floors more efficiently. In this case, the shampoo machine is the right cleaner for you. Removing dirt from the ground will be easier. In addition, you can use the equipment on several types of floors (office chairs, sofas, carpets, rugs,...). However useful they may be, shampoos are still tools that are used occasionally. Under these conditions, why make a major investment for a product that will remain in a corner to collect dust? Renting is therefore the ideal solution, you benefit from all the advantages linked to the acquisition of a new product, without having to suffer the inconveniences. Do not hesitate to choose from the multitude of proposals available in our online store. We will take the model to your home and pick it up at the end of the rental contract. Why rent a shampoo machine? Renting is the ideal solution in many situations. You are a professional in decoration, construction or even events and you need a shampoo for your work. Or you are a young couple who have just bought a property to renovate. Whatever your situation, the rental will provide satisfactory answers to all your problems. You have no effort to make, just let us know where and when you want to receive your item, and we will do the rest. And it works exactly the same way once your contract ends, we are the ones who pick up your rentals at the address you specify. - Price: We have the best rates in the rental market, you won't find cheaper elsewhere. Our monthly payments are so low that you won't even feel them on your budget. - Quality: We strive to offer only top quality products. All our articles come from the best brands so that they can bring an antière satisfaction to our customers. - Simplicity: Everything is done to simplify your life, you don't have to make any effort. You decide where and when you receive your rentals and we will bring them. Once your contract ends it works the same way, we come to collect them ourselves. Available in sufficient quantities, our shampoo machines will be delivered to your home without delay. Once you no longer need them, we will also come and pick them up. Just make your choice and we'll take care of the rest.